Ranked by frequency and linked to an online dictionary. Are you confused about when to use affect vs. effect? Learn the difference between the two words with these helpful examples and tips. There are many commonly confused words in the English language that look and sound similar. Keep them straight with this extensive dictionary. On-line dictionary portal offering 30 world languages in more than 900 language combinations. Includes grammar overviews, phrase books, collocations, etc. Hi. 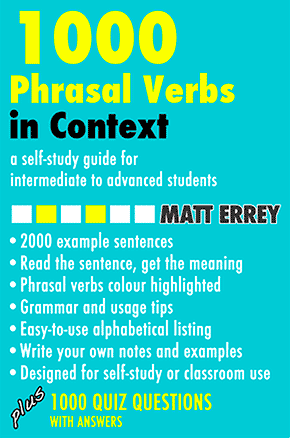 I write a regular blog about phrasal verbs in conversation. I write examples conversations and provide exercises based on them. Please check it out! 50 multiple choice questions to test your vocabulary size online. Glossary - categorized vocabulary. Get words for phobia, mania, cries of birds and animals, names of homes and more. Improve your English with our selection of photos featuring useful vocabulary. Reverso Context is a free dictionary that provides relevant translations in context. You can create vocabulary lists and learn them through personalized quizzes and flashcards. Discover English idiomatic expression and phrases with complete meaning, sample examples and origin facts, arranged in very simple cataloging structure like search and alphabetically listing, theidioms.com makes it easier to find your idiom. Tr-ex.me is bilingual contextual dictionary, containing translations of various phrases. For each translation, we have examples of using in various sentences. 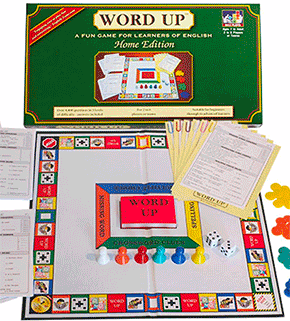 English word search tools (prefixes, suffixes, anagrams and words containing letters searches). Words have definitions. Many high quality word lists.